Lagos (AFP) - Boko Haram has claimed responsibility for twin bomb attacks on the outskirts of Nigeria's capital, Abuja, the group said in a message posted on social media on Sunday evening. 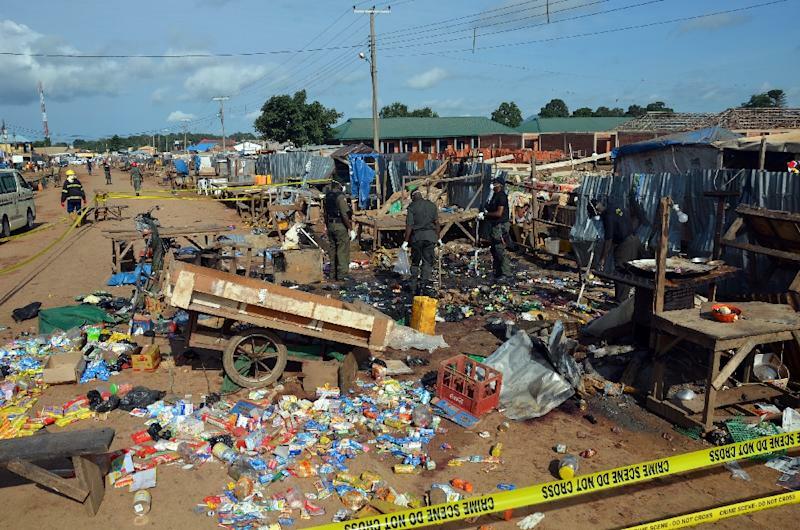 At least 18 people were killed and 41 injured in the bombings on Friday night, in Kuje, to the west of Abuja, and in Nyanya, to the east, the authorities said. Suspicion immediately fell on the Islamist militants, who last year said they were behind two attacks in Nyanya that left more than 90 dead. The claim of responsibility on Twitter was signed by Islamic State in West Africa Province, used by Boko Haram since its pledge of allegiance to the militants in Syria and Iraq in March. It showed photographs of three men in combat fatigues, holding automatic weapons and in front of the group's insignia, and claimed they had carried out "martyrdom operations". The police on Saturday said "preliminary investigations revealed the bomb blasts were carried out by two suicide bombers -- a male and a female". The Arabic message said the trio's targets were police stations in Nyanya and Kuje, calling them "strongholds of the apostates (non-believers)", according to the SITE Intelligence Group. One militant attacked Nyanya, the other two Kuje, it said. Boko Haram has previously attacked police stations and prisons, where militant fighters have been held. Kuje prison, near Abuja's airport, currently houses dozens of Boko Haram inmates.